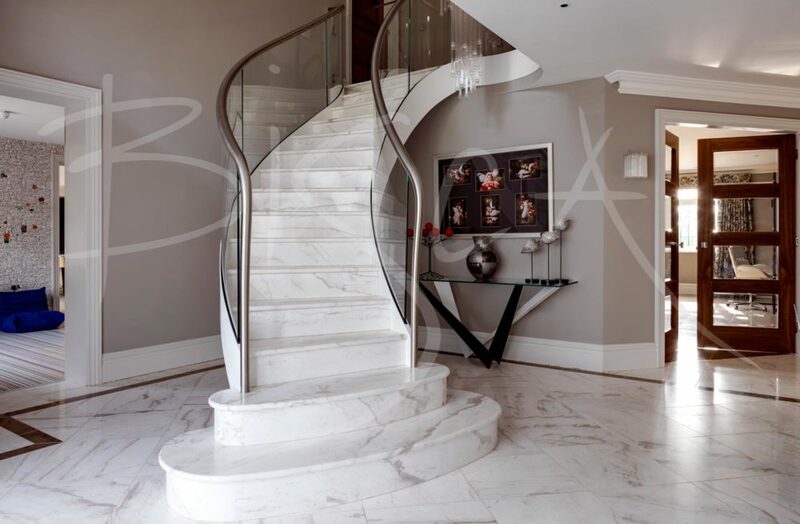 Modern Stone Staircase with Dog-Gate. 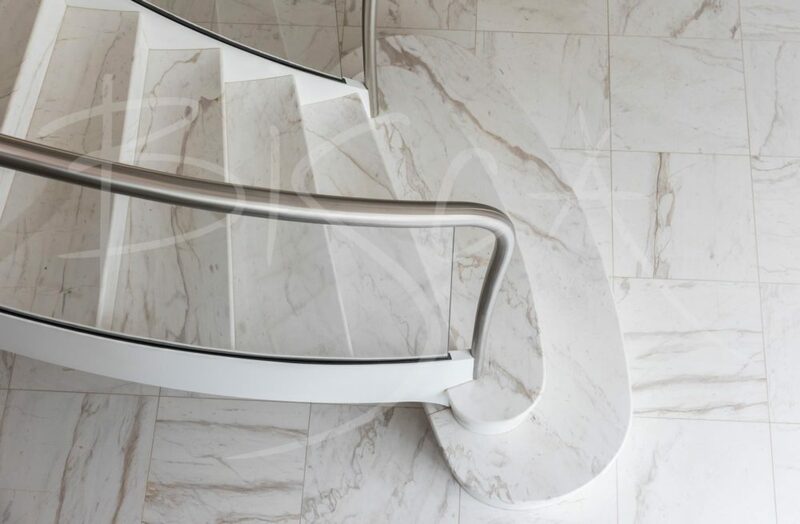 Bisca created this modern stone staircase for a new build property in Brighton. 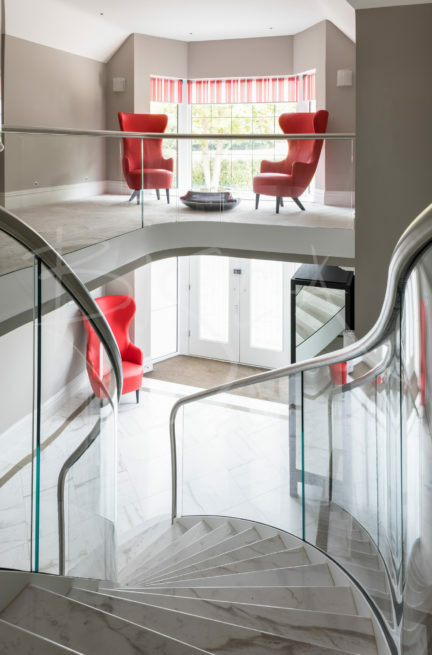 As the key aspect of the house, the staircase is designed using materials suggested by our clients. 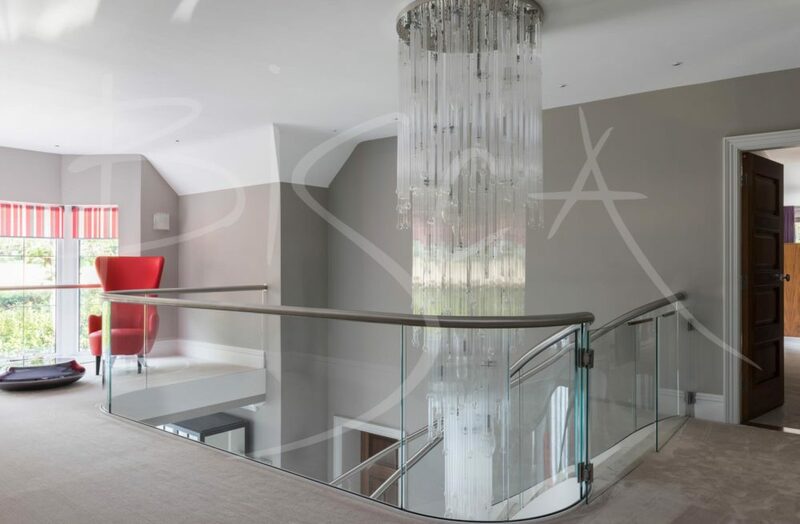 Low iron glass balustrades slot into the stringers. This eliminates the need for visible clamps and gives an elegant clean finish on the treads.